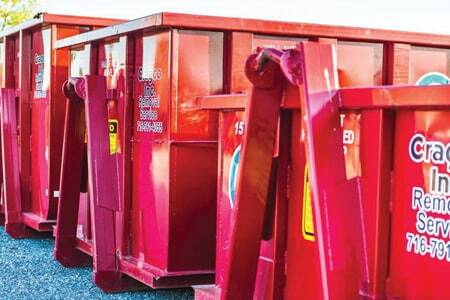 Because there is a substantial amount of other refuse that needs hauling from building projects, demolition jobs and disaster cleanups, consider not only what type of container you need but the most efficient equipment available. 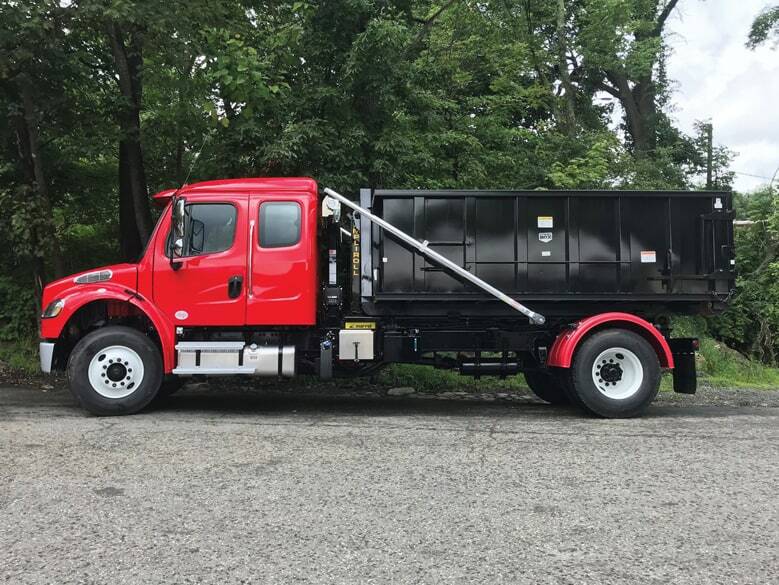 Waste hauling is a big job, but it is not solely the task of purpose-built municipal garbage trucks or city-contracted trash haulers you see making the rounds on local streets every week. Beyond the 262.4 million U.S. short tons of municipal solid waste (MSW) that are generated every year per the Environmental Protection Agency, there is a substantial amount of other refuse that needs hauling from building projects, demolition jobs and disaster cleanups. An Ampliroll Hooklift that was installed by Tony Sanchez Ltd in Ledgewood, NJ. Whether you have cable-pull systems or hook-loader types, roll-on/off trucks are ideal for these types of waste hauling jobs. Why? Because you do not want a dedicated, purpose-built rig that would sit idle onsite for long periods. Roll-on trucks can drop off an empty container at a site and later pick it up when it is filled at the user’s pace for eventual hauling to the landfill, recycling center, composting site or combustion/energy recovery operation. Of course, the drop-off, pick-up and haul-away cycle is repeated by the roll-on truck operator until the project is finished. Which Type of Roll-On Container is Best? • 15- to 20-cubic-yard containers: These are a popular choice for small to mid-sized construction, clean-up and demolition projects. These roll-on/off containers are also a good choice for hauling heavier materials like concrete, dirt, sand or shingles. Given that a full-size pick-up truck bed (i.e., 8′ x 5.33′ x 18″) will hold about 2.5 cubic yards, then one 20-cubic-yard container can do work of eight pickups. • 30-cubic-yard containers: Cable-loader and hooklift waste haulers choose this larger size roll-on container for larger tear-down or building projects. Using the previous comparison, one 30-cubic-yard roll-on will haul the equivalent of 12 pickup truck loads. The ease and speed with which drivers can pick up and drop-off containers and other truck bodies with a hydraulic hooklift-equipped chassis make a hydraulic hooklift attractive to waste haulers, municipalities, contractors and many others. No special training is needed. All that is required is a conscientious, hard-working truck driver of the type you probably already have on staff or is otherwise reasonably easy to find. Three different sizes of containers from an Ampliroll Hooklift customer at Cragco Debris Removal, Inc. located in Ransomville, NY. 1. To pick-up a container from the ground, the driver backs the truck toward it. Admittedly, practice will make perfect with this task because positioning the rig—and its hydraulic arm—the proper distance from the truck body takes a little getting used to. 2. When the truck is properly positioned, the driver switches on the power take-off using the in-cab controls. The driver then lowers the hydraulic arm and latches it onto the container with the hook. 3. Once the container is secured, the driver activates the two main hydraulic cylinders. These pull the container onto the chassis and lock it securely into position. 4. Next, the driver turns off the hydraulic hooklift power take-off using the in-cab controls and drives away. A hooklift system’s container drop-off operation is very efficient. Most drivers never leave their cab—eliminating the time it otherwise takes to step out and climb in as with cable loaders. They also avoid any outside exposure to moving machinery or inclement weather. So, safety and comfort is enhanced. Meanwhile, the fleet operator benefits from a quick operation. More loads can be handled over the course of a day or week. And, because the risk of driver injury is reduced, so is the potential for worker’s compensation claims. When it comes to saving money, work with an equipment company to ensure that you are purchasing the correct size container for your job. In addition, the productivity of a hooklift can save you time and money by being able to drop off and pick up multiple containers and bodies a day with one truck. Equipment that is worth the investment. Andy Jansma is the U.S. General Manager for Marrel Corporation (Rockford, MI), Ampliroll Division. He has more than 35 years of experience with hook loaders and other waste equipment. Andy has also designed many types of specialized equipment for use in the waste industry. Ampliroll Hooklift Systems are manufactured by the Marrel Corporation—the inventor of the dual-pivot hook loader in 1969 and first again in bringing them to users across the U.S. in 1980. Today, Ampliroll supplies premier hook loader systems and associated equipment. Unlike many others, Ampliroll offers a complete selection of truck-mounted accessories and roll-on/off bodies that they can supply as a package with their hook loaders, allowing for single-source acquisition. Customers select from aerial lifts, cranes, grapple systems and more. Also choose from cement mixers, dump bodies, flatbeds, septic pumpers, waste containers, water tankers and other interchangeable bodies. In addition, customers can select from Ampliroll’s line of high-quality pre-owned hooklift vehicles. For more information, call (616) 863-9155, e-mail equipment@amplirollusa.com or visit https://amplirollusa.com. Visit Ampliroll Hooklifts – Marrel Corp at the Waste Expo, Booth #1985.